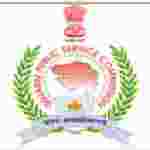 Gujarat PSC Section Officer recruitment 2016-17 notification apply for 685 posts : Gujarat Public service commission (GPSC) welcomes application for the position of 685 Deputy Section officer and Deputy Mamlatdar vacancies for Secretariat departments, Gujarat Public service commission and Revenue Department. Candidates who completed their Degre is a good opportunity.The individuals who are the occupation seekers searching for govt employments in Gujarat this is the best chance to apply. Competitors read the official notification then read all the guidelines and miners precisely then apply before the last date online application got. All the interested and eligible candidates can apply online before 20th July 2016. Candidates Age Limit: The age of the candidate should not be less than 20 years and should not be more than 35 years as on 20th July 2016. Academic qualification details: Candidates should hold a bachelor degree obtained from any of the university established or incorporate by or under Central or state act in India or any other educational institution recognized as such or declared to be deemed as a university under section 3 of the university grants commission act 1956 or possess an equivalent qualification recognized by the government or applicant should have knowledge of computer application as prescribed in Gujarat civil services classification and recruitment (General) Rules 1967 or applicant should possess adequate knowledge of Gujarati and or Hindi. Official website: All the interested and eligible candidates can apply online through official website of Gujarat public service commission (GPSC) http://gpsc-ojas.guj.nic.in from 1st July 2016 to 20th July 2016.